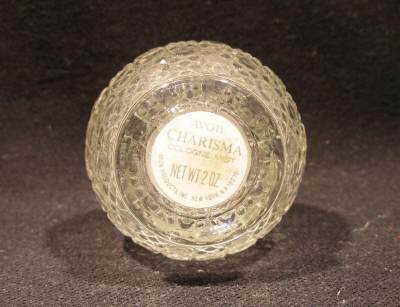 You are looking at an Avon Charisma Decanter. 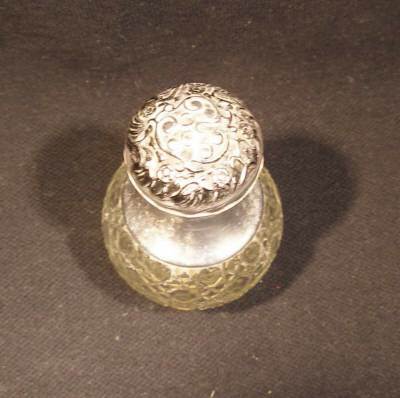 It has a metal top with a floral like decoration on the top. 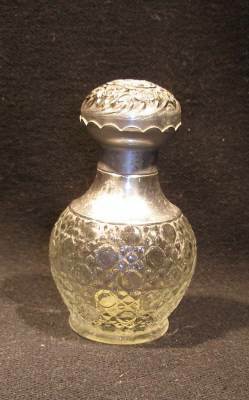 It is in good condition and is a very cute addition to any collection of bottles. 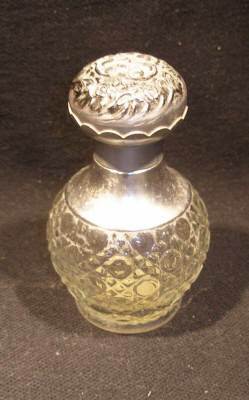 It measures about 4 inches high and about 2 1/2 inch in diameter.